On Saturday, news had broken from Kerala that some members of the youth wing of the Congress party had slaughtered a cow in full public view and then had proceeded to cook and eat its meat. The apparent motive behind them doing so was to protest against the Modi Government’s decision to to ban sale and purchase of cattle from animal markets for slaughter. After people were horrified by the incident the Congress High Command sprung into damage control mode and Rahul Gandhi ‘strongly condemned’ what he called a barbaric, thoughtless and completely unacceptable act. Rahul Gandhi though did not mention either Youth Congress or the cow in his statement, but it was assumed that he was referring to the same. Now the police have proceeded to book the Congress activists under the IPC Section 428 and section (ii) of the Prevention of Cruelty to Animals Act 1960. The most plausible reason behind this transformation could be that cow slaughter evokes a very passionate response from the public, while buffalo and ox generate a mellowed response thus this was NDTV’s way of downplaying the whole incident. Or maybe it was a general incompetence that the Indian mainstream media is well known for. 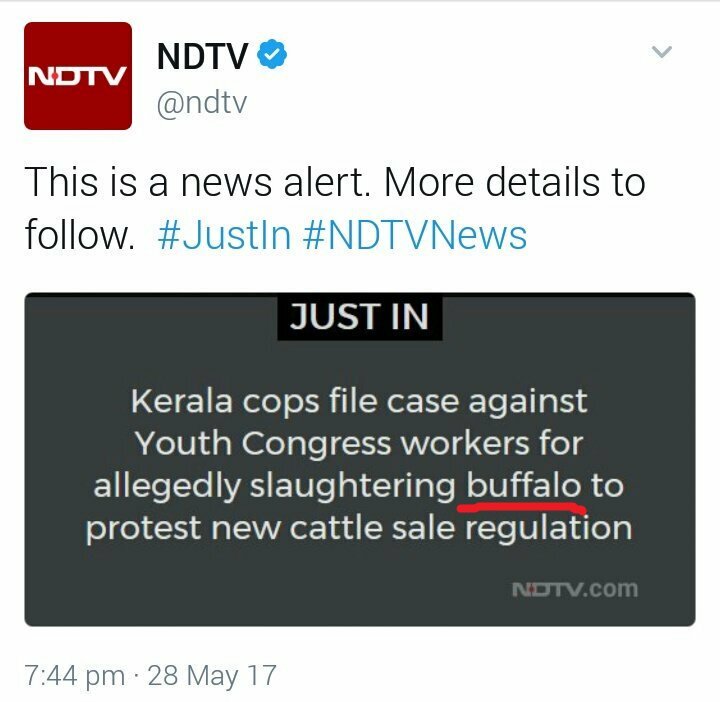 NDTV turned a calf into a buffalo and then an Ox. This is why Vikram Chandra gives lectures on fake news, they are the experts. 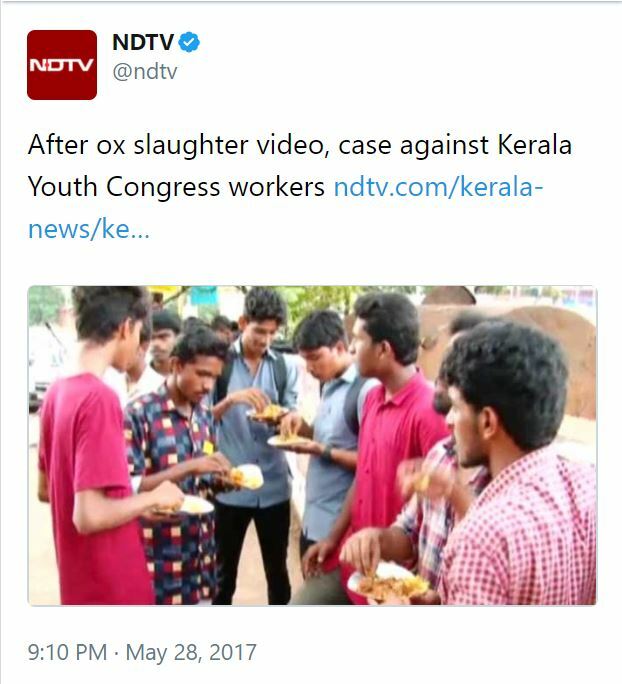 @ndtv first it was cow, then buffalo, now ox…by tomorrow morning it will be paneer.